Learning – Who gets to define success? @sherrattsam threw some serious shade into the conversations around rubrics. I’ve got a fair number of criticisms of rubrics. Children who, despite their best efforts, were still at the lowest point of the rubric. Classroom culture can mitigate this. Children who go beyond expanding that still need to be challenged. Selective reading of rubrics. Small font sizes and large blocks of texts. Our rubrics are often not child-friendly. Why are we surprised that the children often end up looking at the top column and giving the rest of the rubric a cursory glance at best? When I look at the underlying problem, it’s that the definition of success is owned by the teachers. We’re the ones writing the rubrics, often with very little input from our students. As a result, rubrics can be narrow paths for the learners to passively follow. What about reconceptualising a rubric a compass? A compass enables flexibility to wander down unexpected paths. An opportunity to embrace the unknown while still heading in the same direction. But how will the children know what way is north? Take time to co-construct the success criteria. What might success look like from your students perspective? Go beyond just pulling out old pieces of work and picking them apart. Our current Unit of Inquiry involves the children setting up a business. Instead of the summative task being at the end of the unit, the children had a chance to create a business right at the start unit. Not everything went according to plan, budgets were blown, disagreements erupted and sales weren’t met. A lot of this action was caught on camera and became an object to reflect on later. When it came time to discuss success, the children were speaking from a place of concrete experience. Bring in the outside experts – kids who have done the unit before! 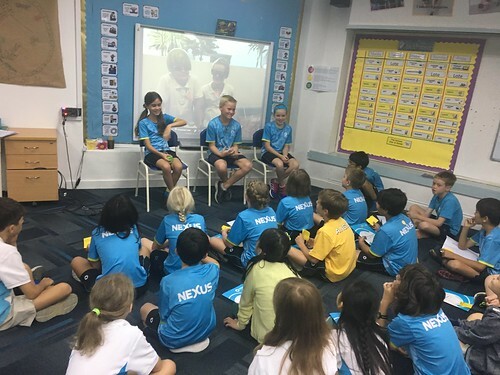 As part of this unit, we set up a panel of successful Year 5 business people to talk to the current group of Year 4s. For 40 minutes the Year 5s answered student-generated questions from the Year 4s. They shared not only their own experiences of the unit but made connections to other children’s experiences in their cohort. The younger children heard in true child-speak, a definition of successful learning. The older children had an opportunity to reflect on learning from over 12 months ago, further deepening their learning from that unit. As a teacher, there is no great joy than hearing children from previous years articulating their learning. Maybe you are starting a brand new unit. Chances are, there’s a school out there who has run a similar unit. Reach out to your own network. I knew from twitter, that the International School of Ho Chi Minh City runs a similar unit as part of their PYP exhibition. 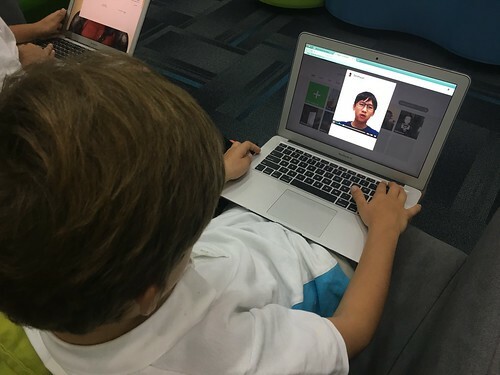 @OrenjiButa was very kind and organised a Flipgrid where my students could use an asynchronous video chat to answer questions. Engaging with children from outside our learning context enables our unit at school to move beyond ‘we’ve always done it this way’ thinking. Rather than have the parents in at the end of the unit to passively listen to a finished report or business. 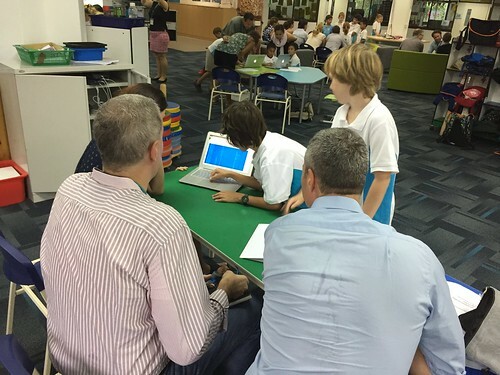 The children pitched their ideas to their potential investors early in the process. This enabled the parents to give detailed feedback and the children gained another perspective on success. This process took a lot of time, far more than a meeting trying to construct a rubric. Taking time to notice and name successful behaviour, from students both in your class and the invited guests. Taking on parent feedback to adapt criteria. But the result was a shared understanding from teachers, parents and individual students of what the unit was about, where the children were heading and how they were going to get there. With nothing but a compass to guide us along the way.